Irish baritone Gavan Ring studied at the Schola Cantorum at St. Finian’s College in Mullingar before reading Education and Music at St. Patrick’s College in Dublin. Following post-graduate studies to doctorate level at the Royal Irish Academy of Music, Gavan trained at the National Opera Studio in London. 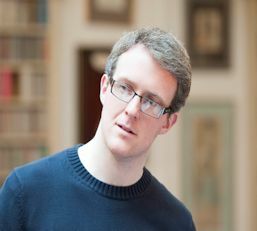 Winner of second prize at the 2013 Wigmore Hall Kohn Foundation International Song Competition, Gavan is also a previous winner of the National Concert Hall Bernadette Greevy Bursary, the Cuisine de France John Count McCormack Bursary and the Peter Hulsen & Southbank Sinfonia Award for Orchestral Song. In 2010, Gavan was awarded the Briscoe Cup for Outstanding Student of the Year at the Royal Irish Academy of Music. Concert and recital engagements include appearances at the Royal Festival Hall, Royal Opera House Linbury Theatre, Oxford Lieder Festival and the National Concert Hall with orchestras such as the Orchestra of the Age of Enlightenment conducted by Sir Mark Elder, RTÉ National Symphony Orchestra of Ireland, the RTÉ Concert Orchestra, the Irish Baroque Orchestra and the Southbank Sinfonia. A Jerwood Young Artist at Glyndebourne Festival Opera 2012 and an alumnus Young Associate Artist with Opera Theatre Company, Gavan has performed with Wexford Festival Opera, Opera North, Scottish Opera, Northern Ireland Opera, Wide Open Opera, Opera Ireland, Lyric Opera Productions, Lismore Music Festival and Bampton Classical Opera. Operatic credits include Phoebus (The Fairy Queen), Colas (Bastien and Bastienna), Simone (La Finta Semplice), Nardo (La Finta Giardiniera), Il Conte Almaviva (Le Nozze di Figaro), Guglielmo (Cosi Fan Tutte), Speaker (The Magic Flute), Pluto (Orpheus in the Underworld), Hartmann (Fantasio), Dancaire (Carmen), Eisenstein (Die Fledermaus), Der Steuermann (Tristan und Isolde), Benoit/Alcindoro (La bohème), Marcello (La bohème), Schaunard (La bohème), Yamadori (Madama Butterfly), Jake Wallace (La Fanciulla del West), Cascada (The Merry Widow) and Gideon March (Little Women). 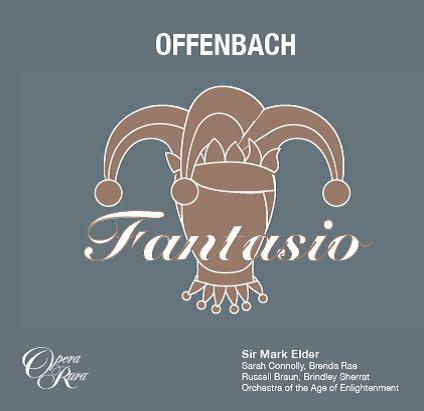 Fantasio is Gavan’s first recording with Opera Rara.